In 2012, Hollywood producer Jason Blum opened a new Halloween event in Los Angeles, named after his company Blumhouse Productions, which has produced Paranormal Activity, Insidious, and Sinister. Set in the old Variety Arts Theatre in downtown Los Angeles, the Blumhouse of Horrors was based on the back story of a magician's assistant who literally disappeared on stage in the 1930s, never to be seen again, after which the theatre closed. With a 25-person behind-the-scenes crew, the Halloween haunted house attraction cost several hundred thousand dollars to produce. The show gave ticket holders one of eight "arrival times," set at 15-minute intervals, which helped to avoid crowed lines and also allowed guest to move through the attraction in small groups, pausing at various points to view scenes played out by live actors. Visitors wove their way through the venerable building from top to bottom, encountering scares provided by a cast of 50 actors. After a shaky start, Blumhouse of Horrors hit its stride and became one of the best Halloween Haunts in Los Angeles. You can read our final assessment of the 2012 haunt here. Unfortunately, The Blumhouse of Horrors, as such, was a one-season effort. For Halloween 2013, Blumhouse presented an all-new show in the downtown Variety Arts Theatre: The Purge: Fear the Night, based on the live-action film The Purge (which was, not coincidentally, made by Blumhouse Productions). As in the film, the premise of the haunt was that, one night a year, all criminal activity is legal, leading to widespread mayhem in the streets. On screen, The Purge stuck to a narrow focus, on a single household; anticipating the sequel, The Purge: Anarchy, the Halloween walk-through version opened up the story, suggesting an entire city under siege. As with the Blumhouse of Horrors, The Purge: Fear the Night offered a lengthy tour of the Variety Arts Building, filled with dramatic vignettes, but there was an even more interactive component, sweeping the audience up into the action, as visitors are taken hostage by rebels on "Purge" night. As entertaining as The Purge: Fear the Night was, its connection to Halloween was tenuous at best. Apparently realizing this, in 2014, Blumhouse presented The Purge: Breakout, which opened in Los Angeles early during the summer, tying in with the release of The Purge: Anarchy on the big screen. The attraction then toured the country before returning for a one-month run in October. Little effort was made to sell the new Purge attraction as a Halloween event. 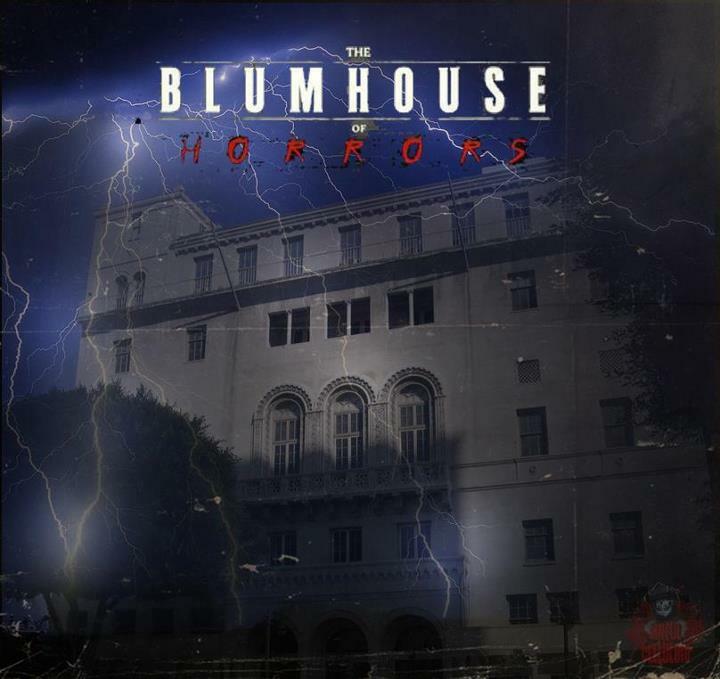 Since then, Blumhouse has produced no more live Halloween events in Los Angeles.